In the pursuit of writing quickly, flawlessly and without having to look at the keyboard, I recently decided to learn how to touch type. However, I became frustrated with the seemingly illogical letter placement on the standard qwerty keyboard. I started to search for alternative layouts and, along the way, wondered what effect the physical keyboard has had on smartphones. The key to touch typing (pun fully intended) is keeping your eight fingertips on the "home row" by feeling the ridges on the F and J keys with your index fingers. I immediately noticed that there's only one vowel, A, on the home row, forcing you to leave this ideal position for most words. It's commonly believed that the qwerty layout was designed to slow typists, but actually aimed to speed up the writing process by preventing jams. It specifically ensured that the typewriter pins of the most common letter combinations (such as "th", "gh" and "ch") weren't neighbouring, as pressing these pairs too quickly in succession could cause sticking. 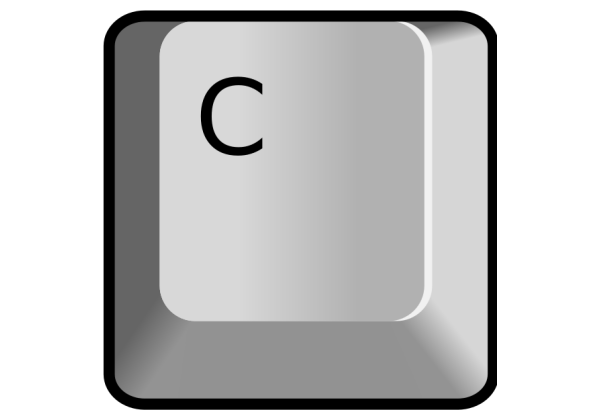 One alternative, the Dvorak keyboard, instead places the most-used letters on the home row. It also sets vowels on the left side and the most common consonants on the right, resulting in a fluid alternation between the hands. 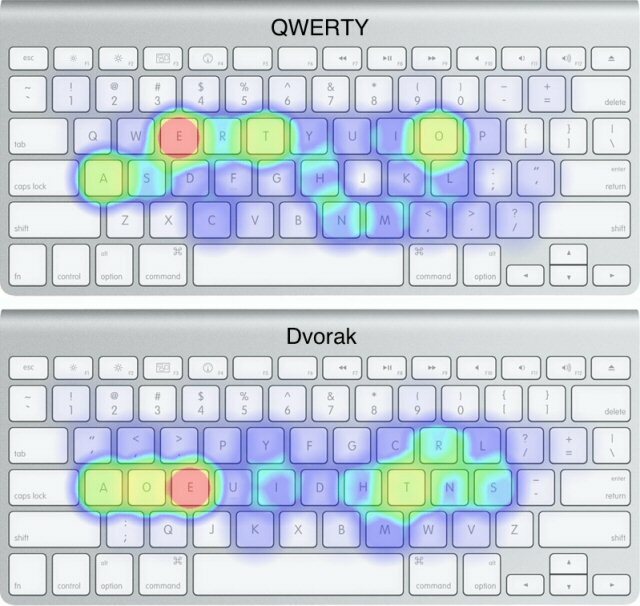 Heat maps illustrate the most-used keys when typing identical passages using the qwerty and Dvorak layouts. Some software developers argue that the traditional keyboard is redundant on smartphones, owing to the lack of precise tactile feedback and the use of only two fingers as opposed to 10. This has led to the creation of a variety of smartphone keyboard apps, and the images below show a few of these in action. I've been learning to touch type using the Dvorak keyboard on my laptop for about a month, practising for about 30 minutes per day. I find the Dvorak layout more comfortable, but still can't type anywhere near as quickly as I can with qwerty. Made-for-smartphone keyboards are similarly more logical, accurate and faster in theory, but require the dedication of enough time to become proficient in using them. The problem lies in this commitment: changing something that's become second nature is a difficult task. Qwerty appears here to stay on physical keyboards and smartphones alike, as I don't expect new designs will win over the masses or disrupt qwerty's huge installed base any time soon. But the future of mobile communication might not be about taps, swipes or gestures after all. Our latest multi-country wearables end-user survey found that about 70 percent of smartphone owners now use voice commands at least once a week, with 20 percent using the feature on a daily basis. The past few years have seen intelligent personal assistants like Cortana, Google Now and Siri becoming an integral part of the mobile experience, and I won't be surprised if we revert back to the most rudimentary manner of communication: speech.